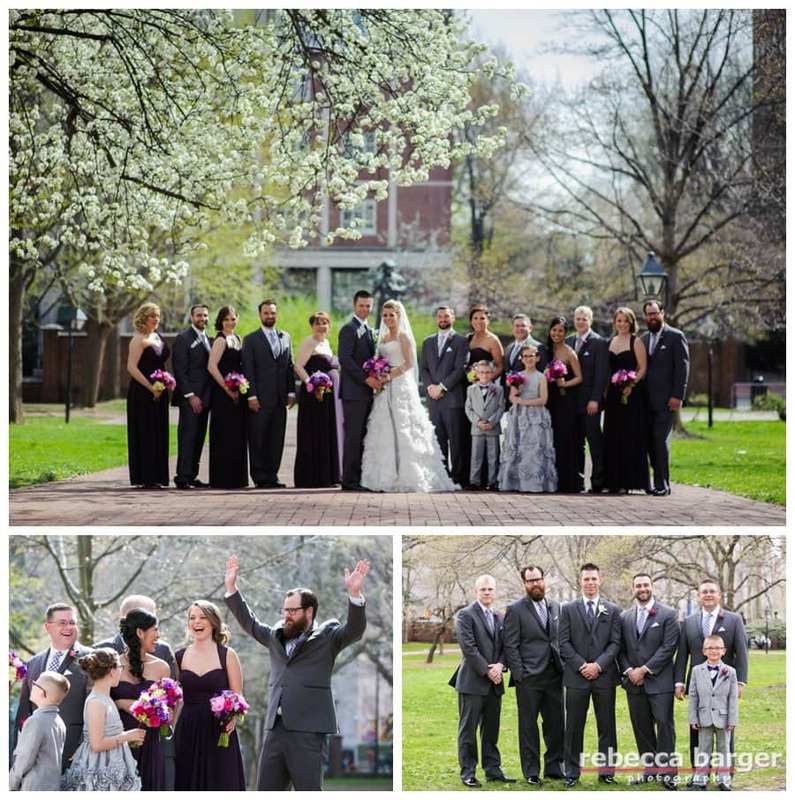 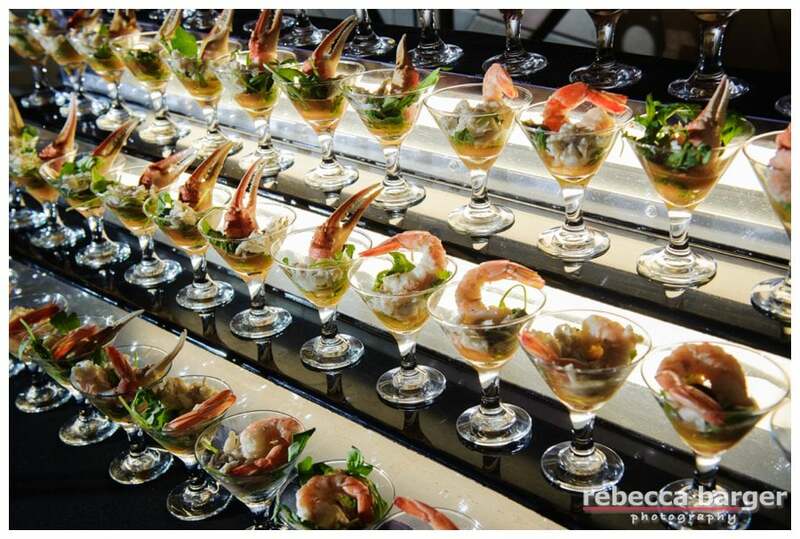 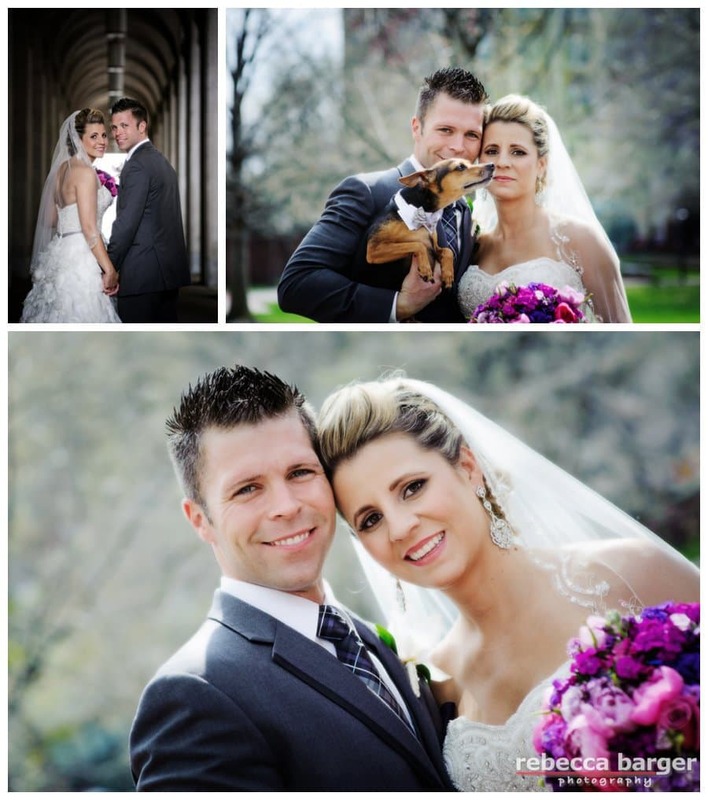 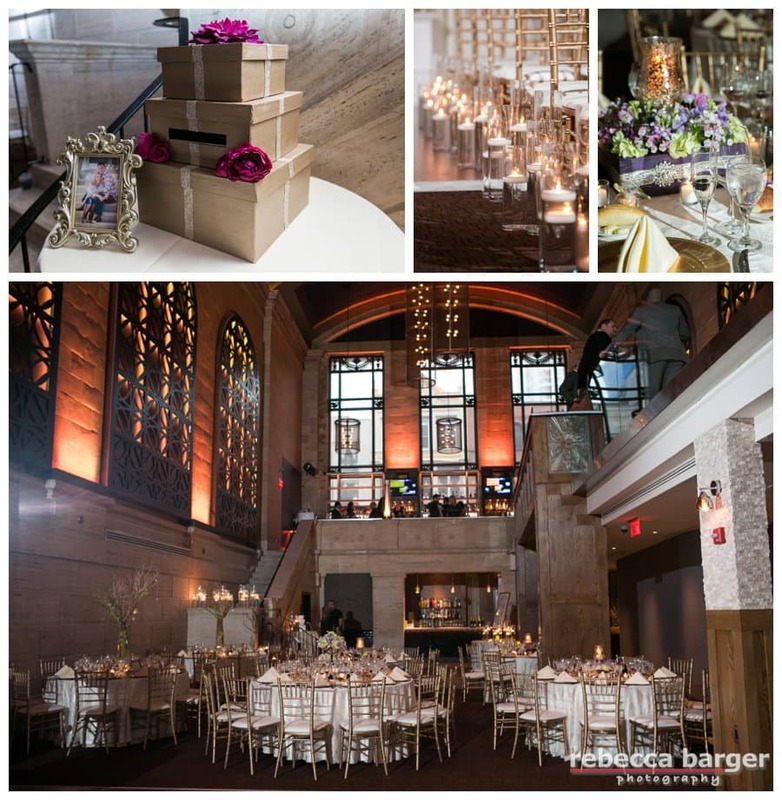 Kim and Kevin had a lovely April wedding, tying the knot at Finley Catering’s Union Trust in Philadelphia. 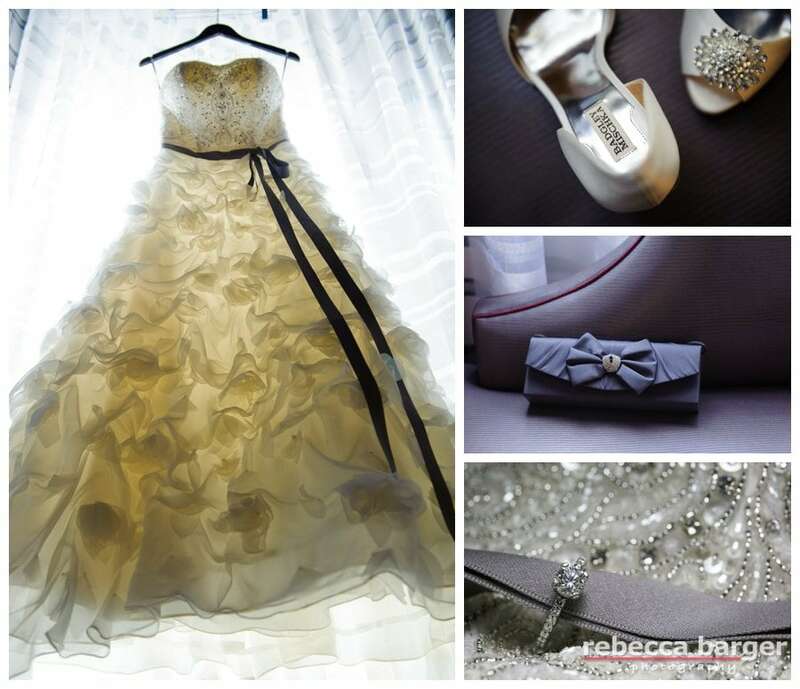 Kim’s gown is from Australian designer Martina Liana from Bridal Garden, Badgley Mischka bridal shoes. 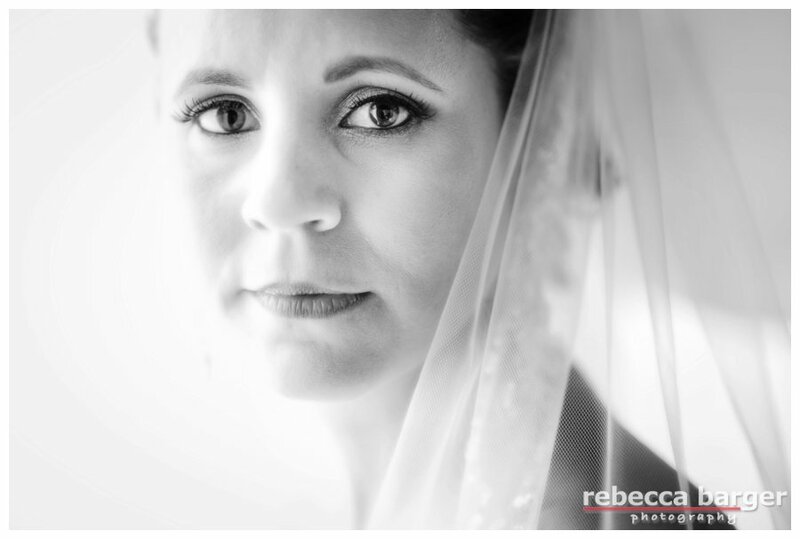 Love this simple photo of Kim, cosmetics by Christine Swope. 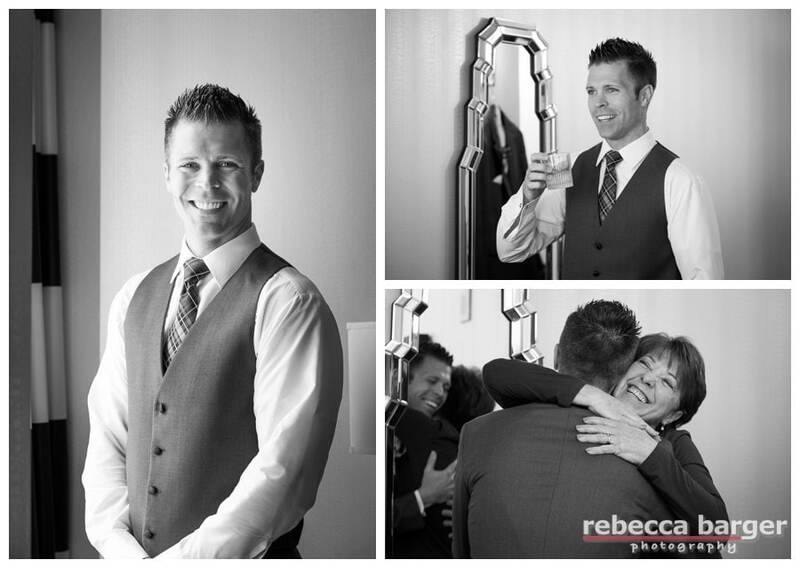 Kevin gets for this special day with Kim, and gives Mom a hug. 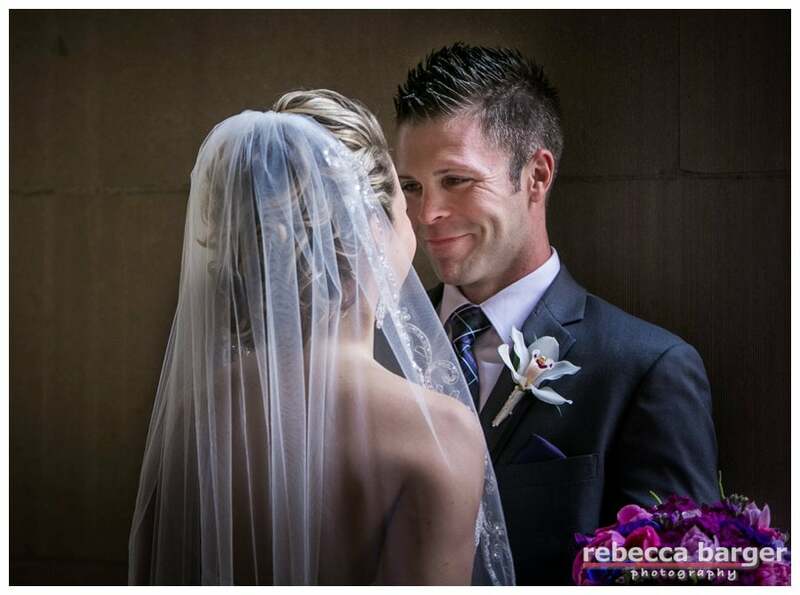 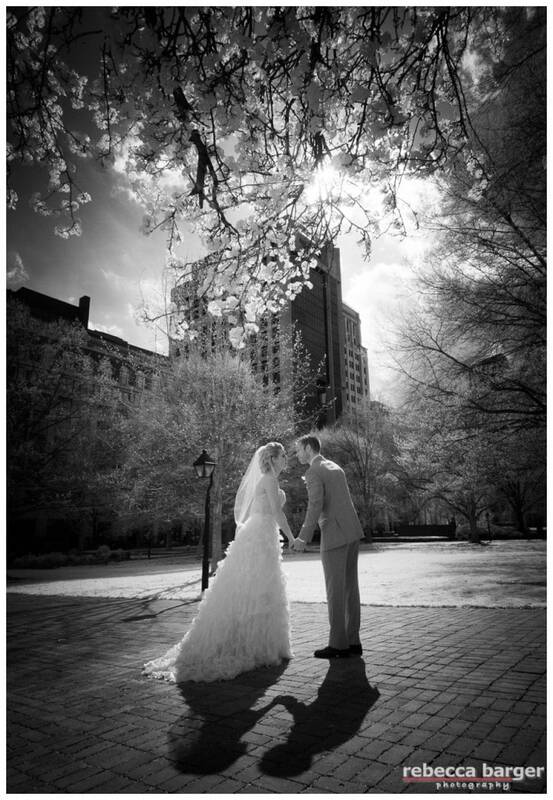 First look for Kim and Kevin at the Courtyard by Marriott Downtown, Philadelphia. 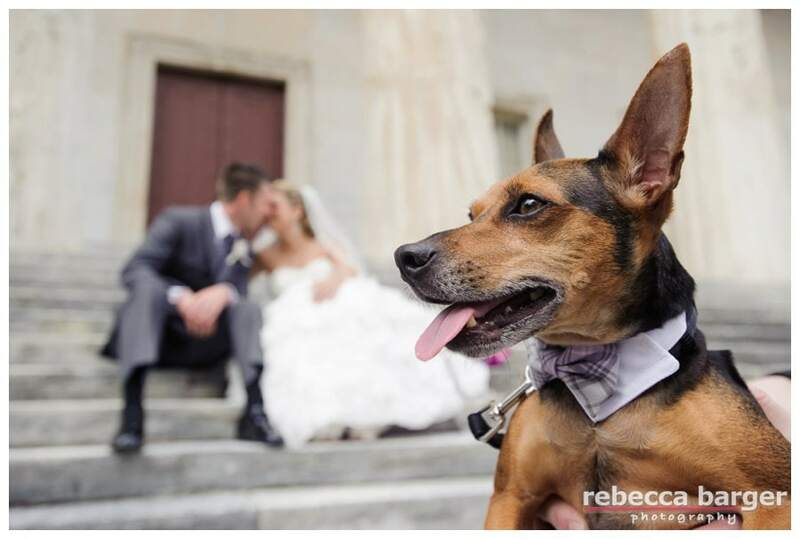 Yikes, my Mom and Dad are getting married! 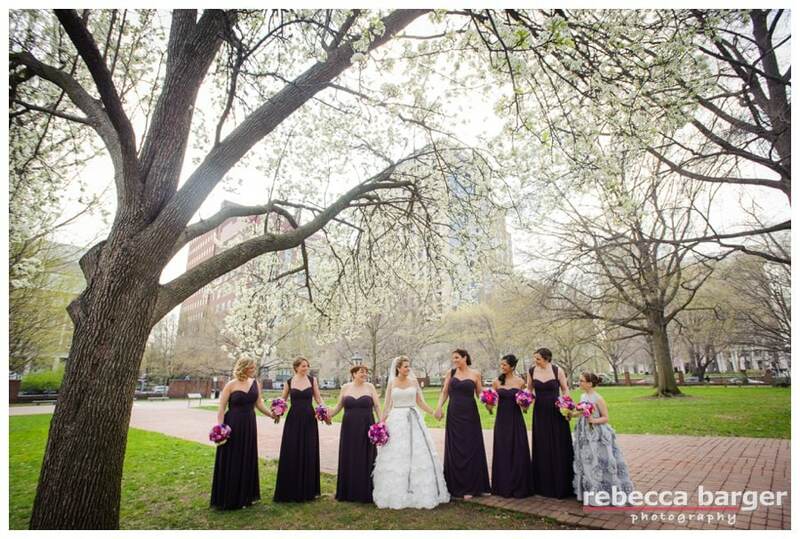 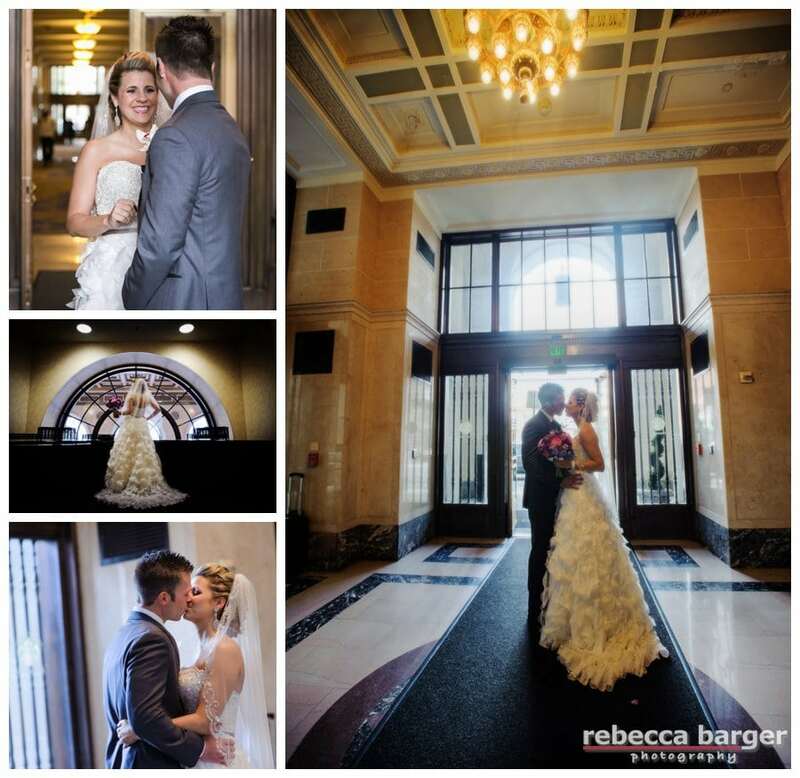 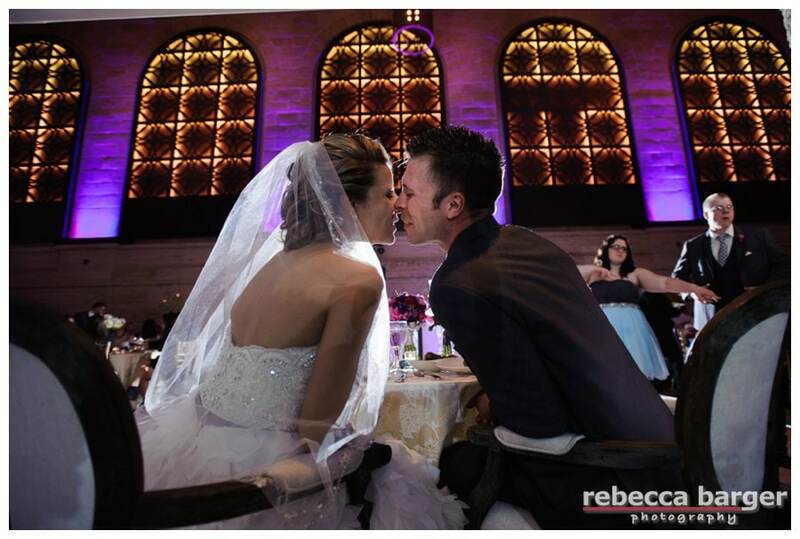 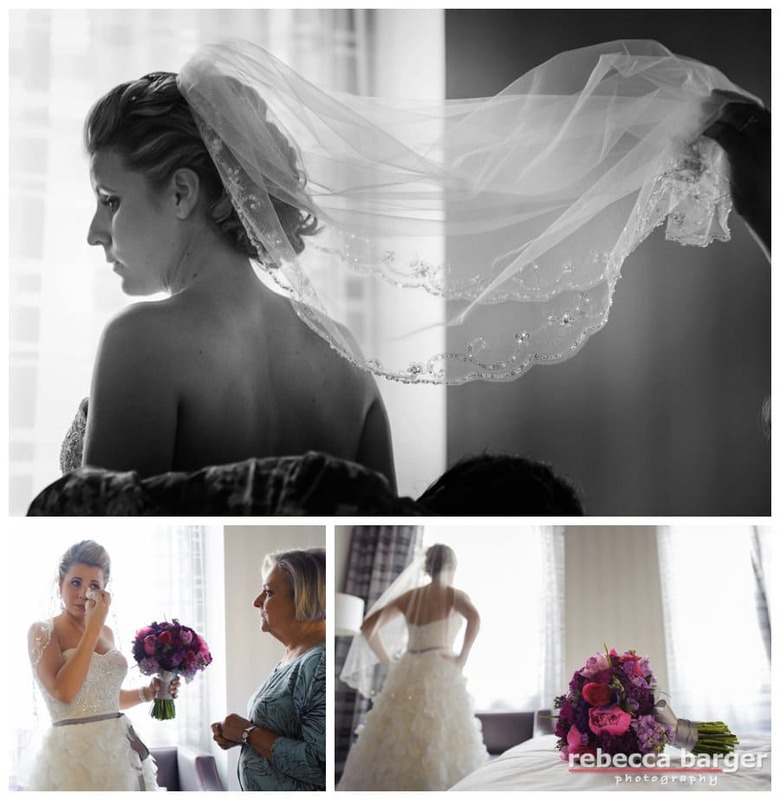 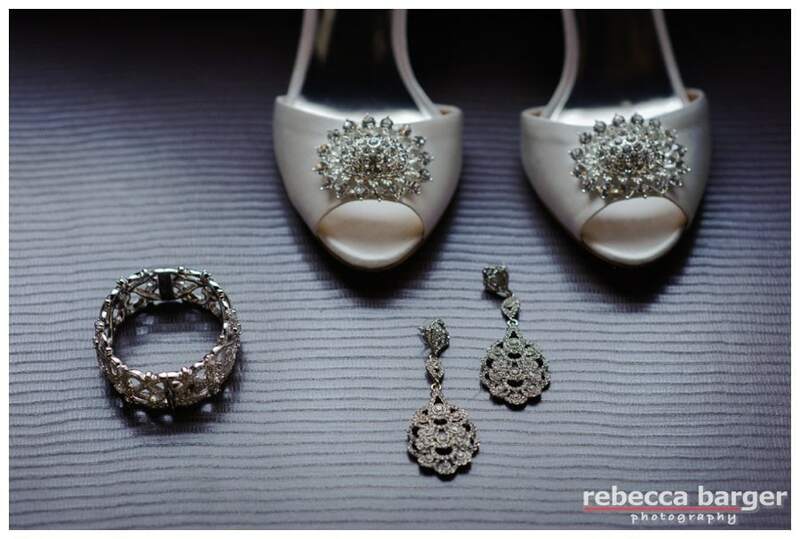 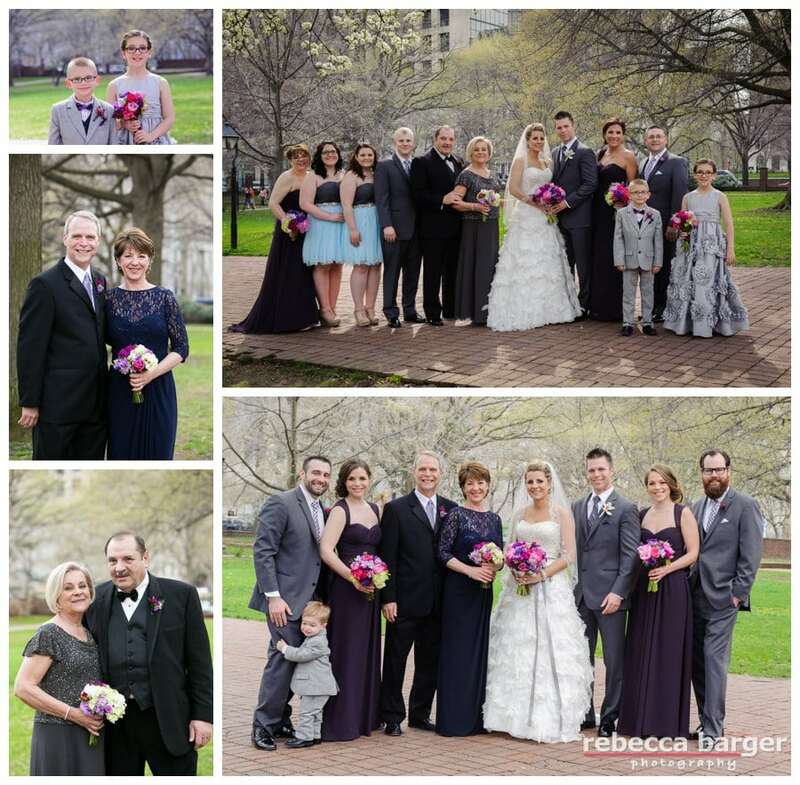 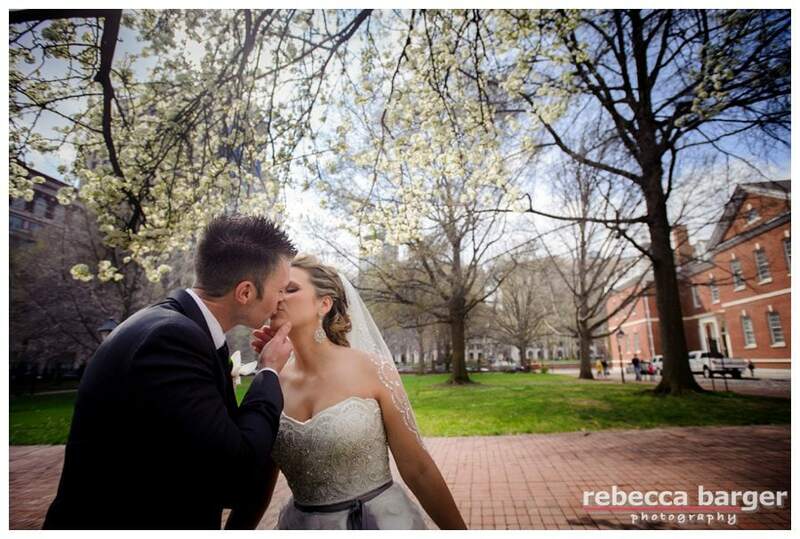 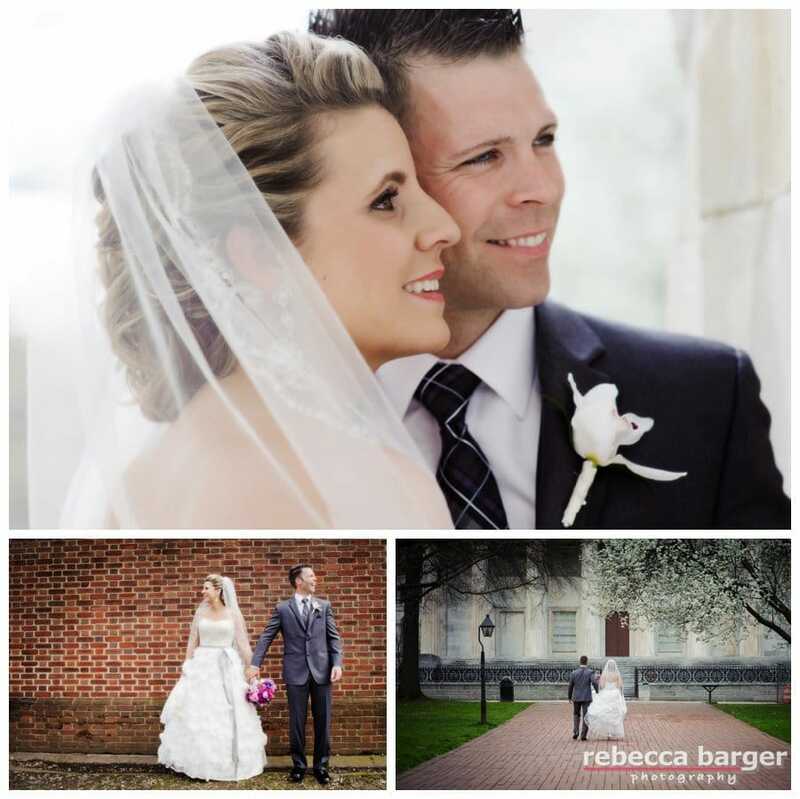 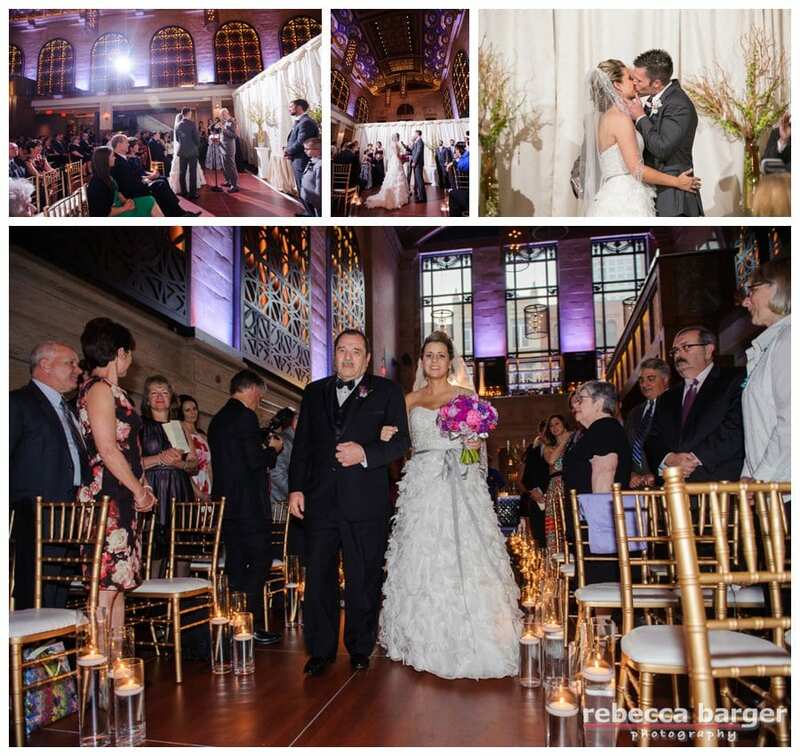 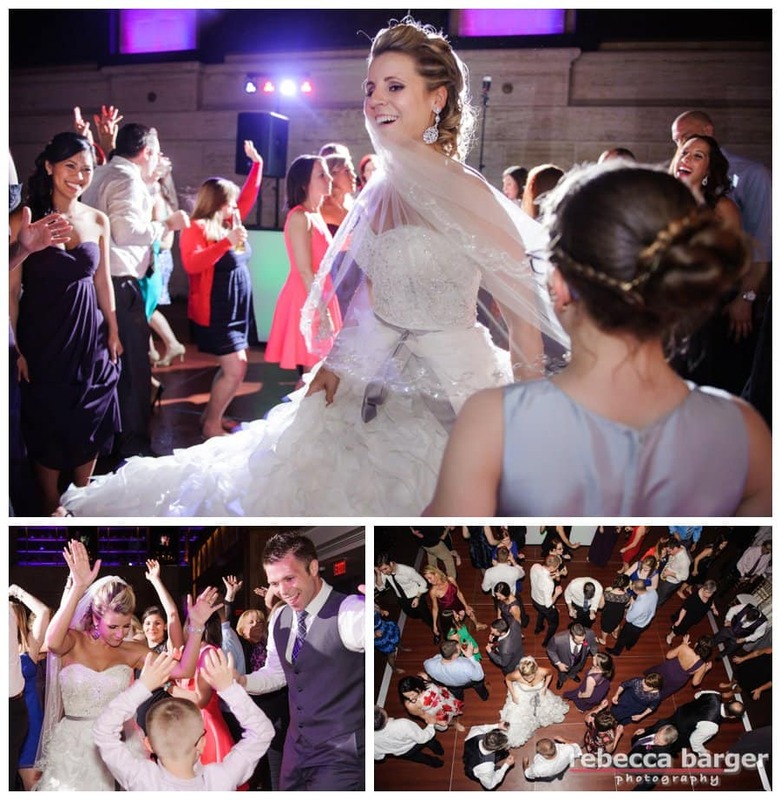 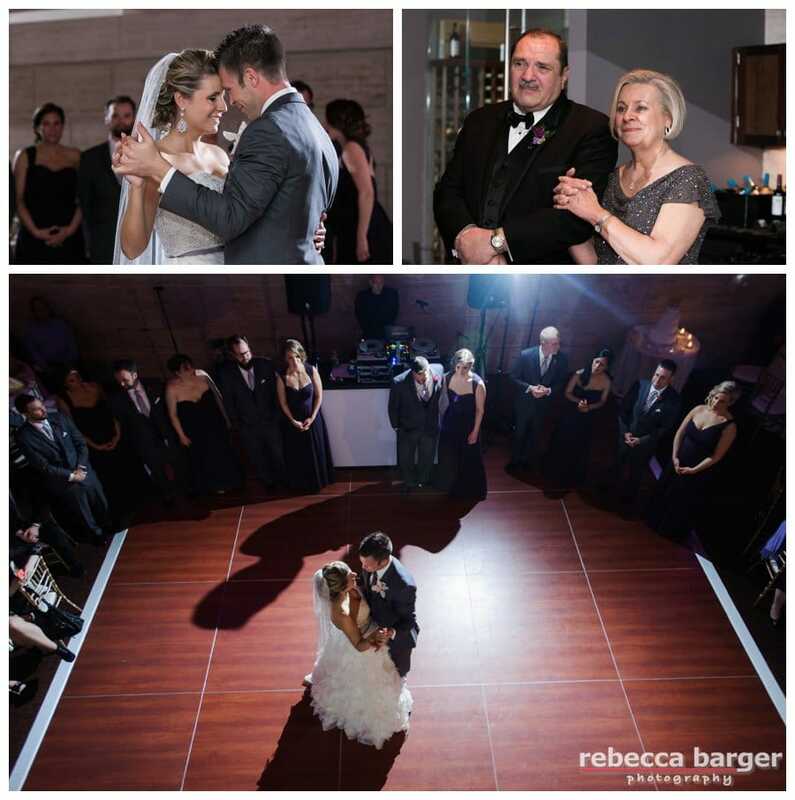 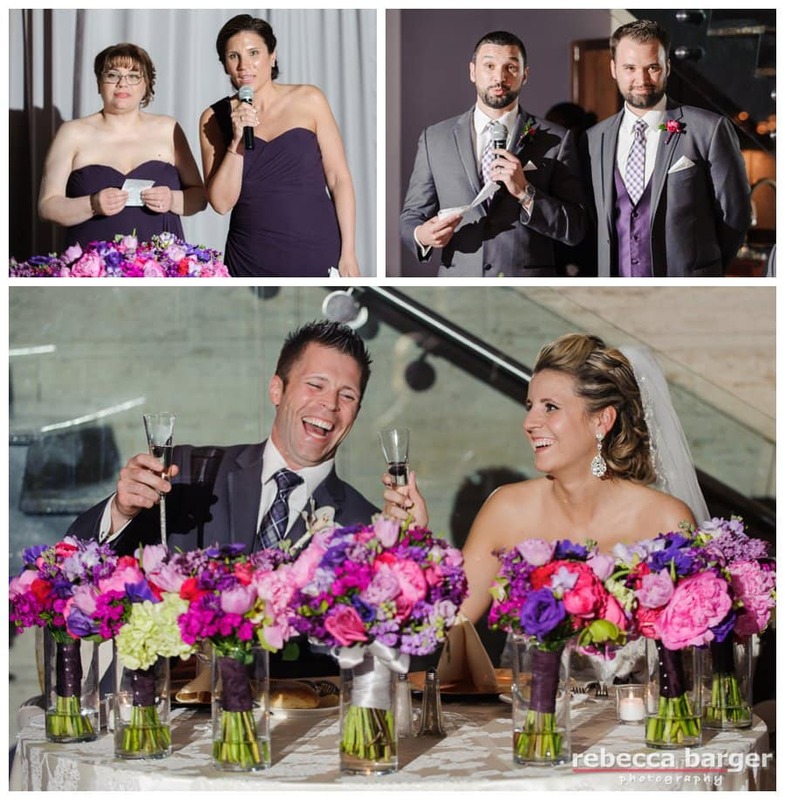 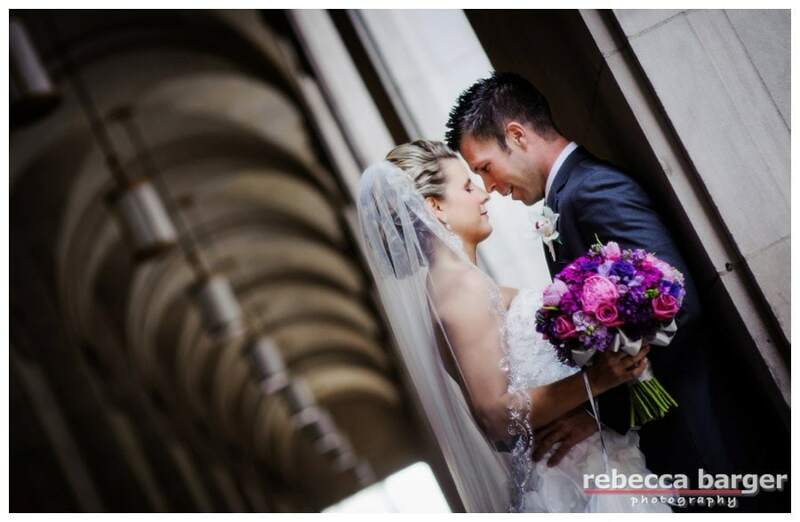 Kim and Kevin on their spring wedding day, in Philadelphia, Rebecca Barger Photography. 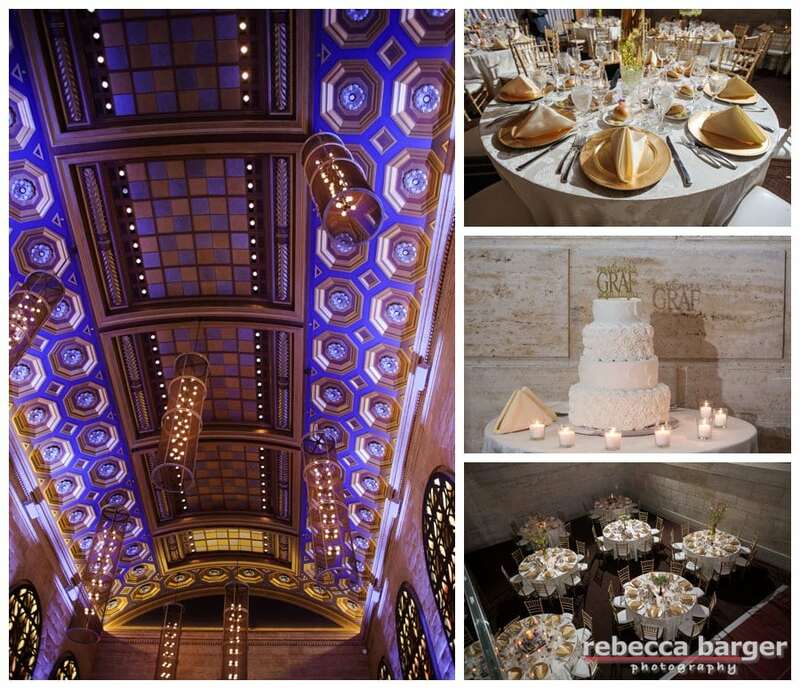 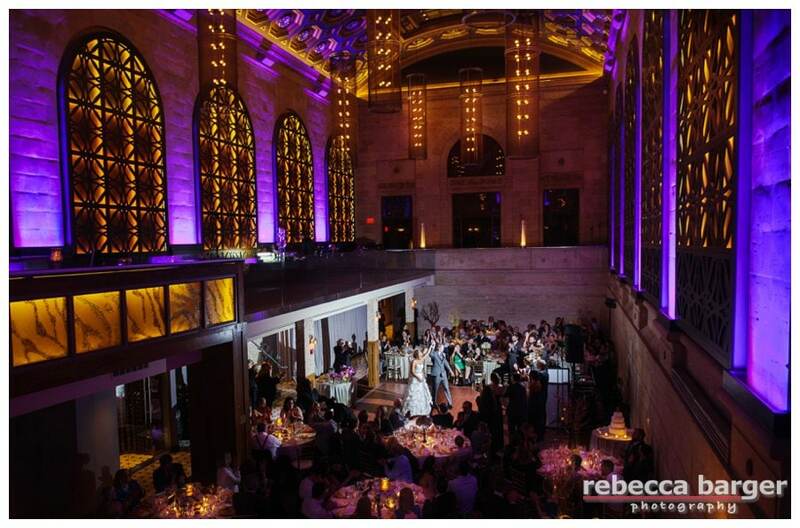 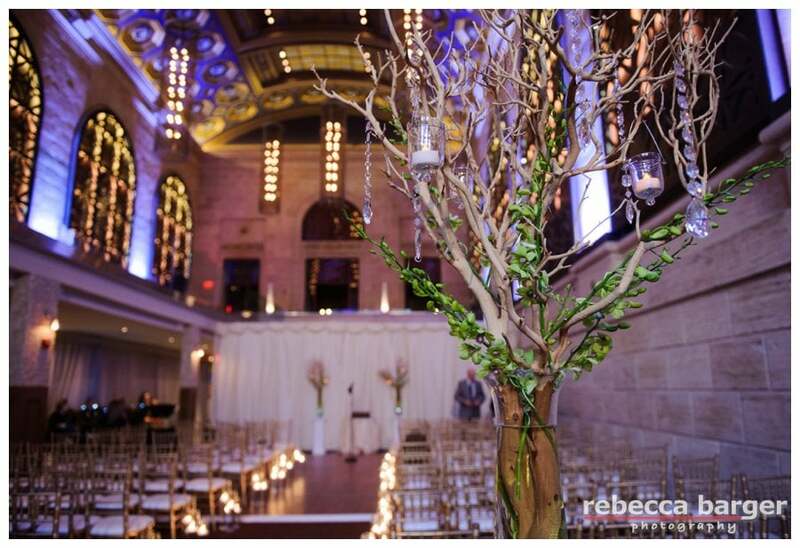 Union Trust boasts sixty-five foot illuminated ceilings, so pretty, wedding cake by Finely Catering. 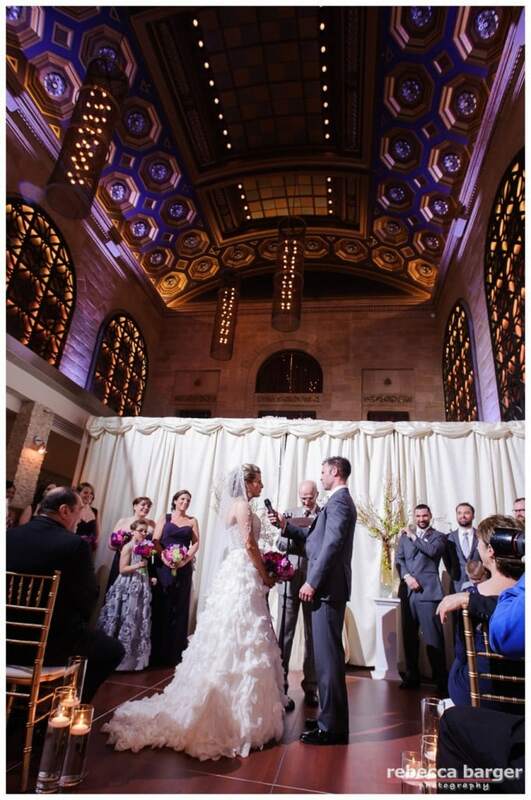 Cheers, Kim and Kevin on their wedding day, Union Trust, Philadelphia! 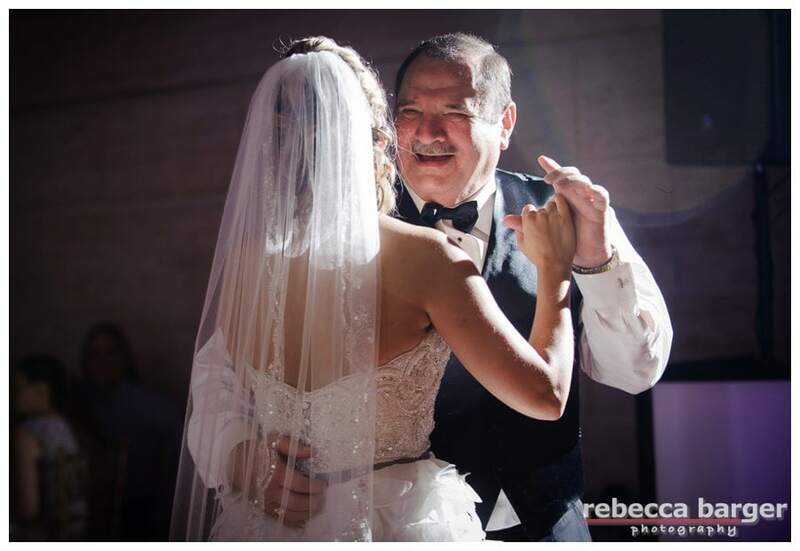 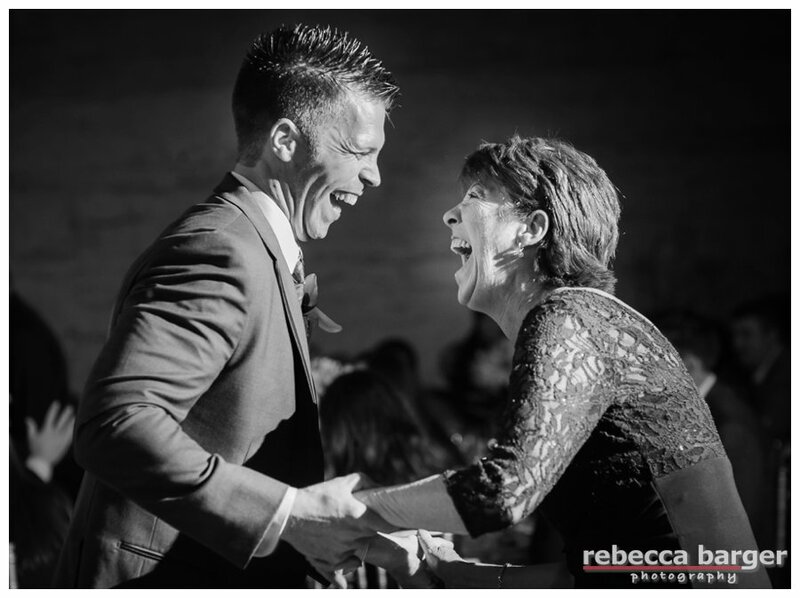 Love these parent dance photos, so fun! 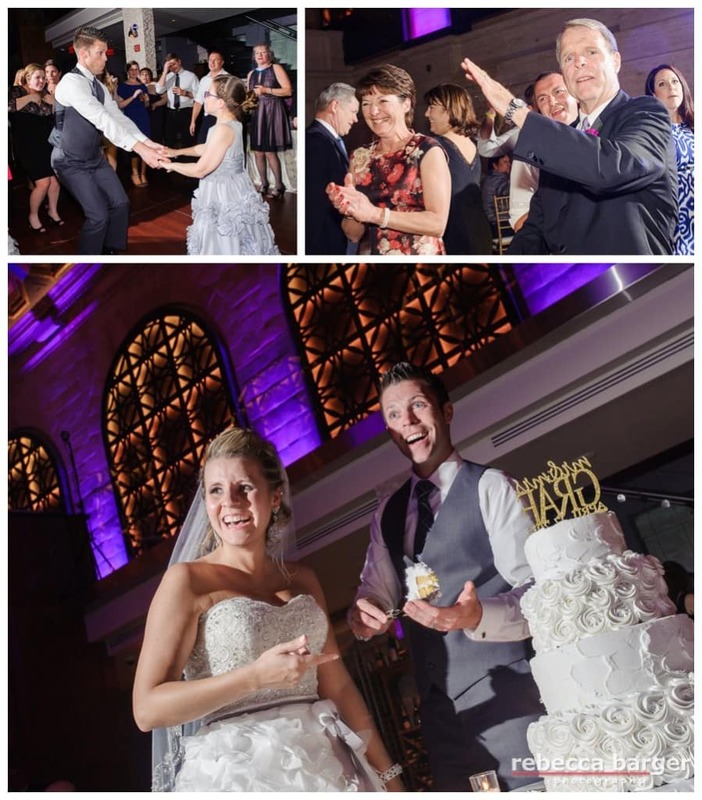 Best Wishes, Kim and Kevin!